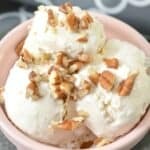 This homemade Keto Maple Pecan Ice Cream is the perfect fall treat. Just because the weather is cooling down, doesn’t mean we have to put away the Ice Cream! There are so many Keto dessert recipes in the Keto Diet. 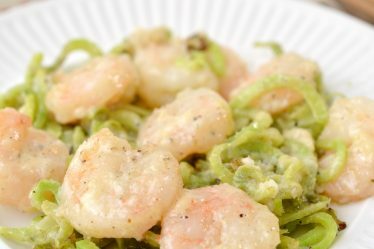 I love that we can really find all of our favorite foods Keto friendly. This Keto Friendly Ice Cream Recipe is such a delicious addition to our collection. 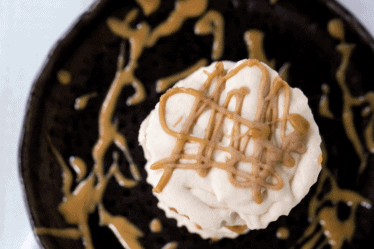 With fall coming, this recipe has the delicious maple flavors of fall mixed with the creamy taste of Ice Cream. If you love a sweet treat, you’ll also love our Keto Flourless Peanut Butter Cookies and Easy Keto Cookie Dough. 1. Place 2 cups of heavy whipping cream into a mixing bowl, and beat on high until it thickens and just begins to form semi-soft peaks. 2. Add the unsweetened vanilla almond milk and just ½ a teaspoon of liquid Stevia to the mixing bowl. 3. 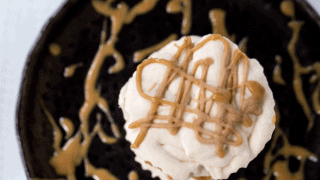 Mix in the vanilla extract, maple flavoring extract and keto friendly syrup. 4. Blend the ingredients together at a medium speed until they thicken again. 5. Taste the mixture to see if more sweetener needs to be added. 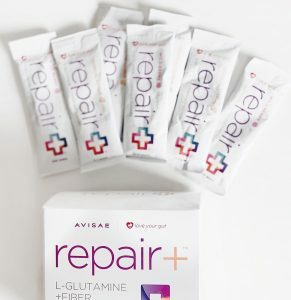 If you would like it to be sweeter, you can add another ½ teaspoon of liquid Stevia at this time. Avoid adding too much liquid Stevia, as it can give your ice cream a bitter taste. 6. Once the mixture has thickened, pour it into your prepared ice cream maker, and make it according to your machine’s instructions. For us, it took about 20 minutes. 7. Scoop the ice cream directly into serving bowls, and garnish it with chopped pecans. Leftover ice cream can be kept in the freezer in an airtight container. thickens and just begins to form semi-soft peaks. Mix in the vanilla extract, maple flavoring extract and keto friendly syrup. Blend the ingredients together at a medium speed until they thicken again. adding too much liquid Stevia, as it can give your ice cream a bitter taste. make it according to your machine’s instructions. For us, it took about 20 minutes. 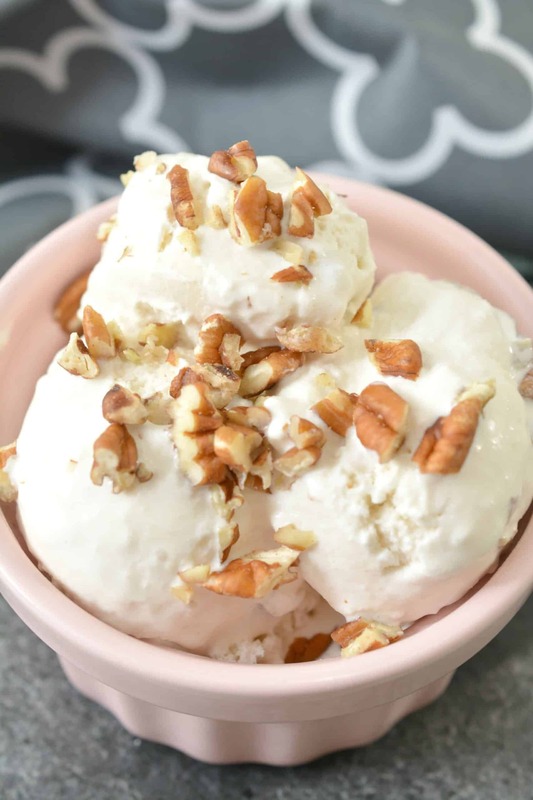 Scoop the ice cream directly into serving bowls, and garnish it with chopped pecans.